Study procrastination is the worse and also the best feeling. I don't get much uni work done, but the rest of my life sure gets sorted pretty nicely. Normally I am a messy person so it takes a lot to get me cleaning. 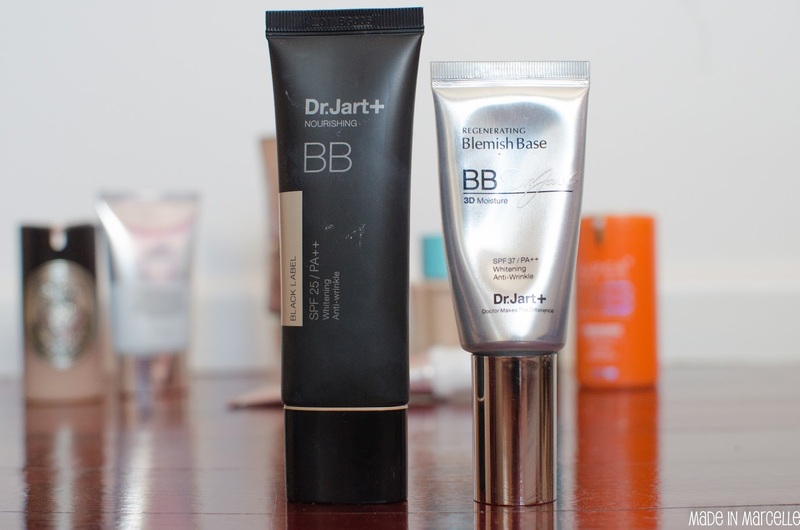 So on one of those sporadic cleaning sprees on my vanity table I realised how many different BB creams I had and I thought I would share with you. My goal this summer is to try to finish as many of them as I can before buying more. N.B. BBs are not meant to be high coverage so when I refer to them being "high coverage" it is in relation to the others but correlate to probably a medium coverage in foundations. As you will see, I don't have many western ones. In fact the Skin Physics is the only one and I did not buy it either. I won it from a competition but I have barely worn it because not only is it too dark and orange for me but also the nozzle is defective and does not dispense any product. Wearing it turns me into a little oompa loompa. I've been in this BB game for a long time and haven't really been brave enough to try the Western ones. Probably because I have not had any good experiences so far. Maybe I'll branch out some time soon. 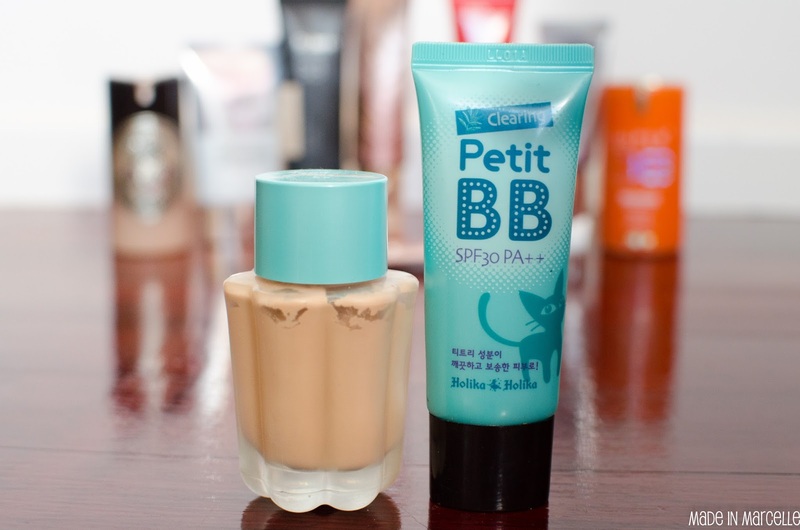 Korean BBs are probably the most well known and work really well with my skin type. Many of them come in very few shades. Most of the time it is one very light shade. This is fine because I am pretty pale anyway. But this Skin Food Grape Cell one is almost too light for me and makes me look like I get no sunlight. Despite that I really like it because it's one of my most moisturising and high coverage ones that I have tried. Skin79 definitely make some great BBs and are probably one of the first to be popular outside of Asia. I have already finished the Gold version and bought the Orange version which is aimed at oilier skin, so it does not work well with my current dry skin. I may give this to Court to try. I'm interested to try the Pink version to see how it compares. 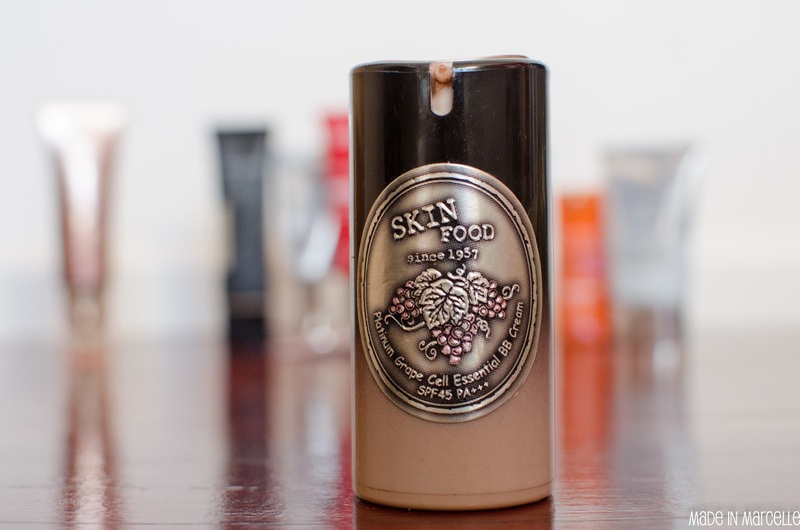 This brand tends to have a grey undertone and surprisingly looks good on my neutral skin. Holika Holika are an up and coming Korean brand and make good quality products for a such a small price. The Aqua Petit BB is my recent acquisition and it's has been amazing so far. (More on this at a later date) The Clearing one is aimed at acne-prone skin with tea tree as an ingredient. It applies fairly well and bumps look minimised because of the relative high coverage. 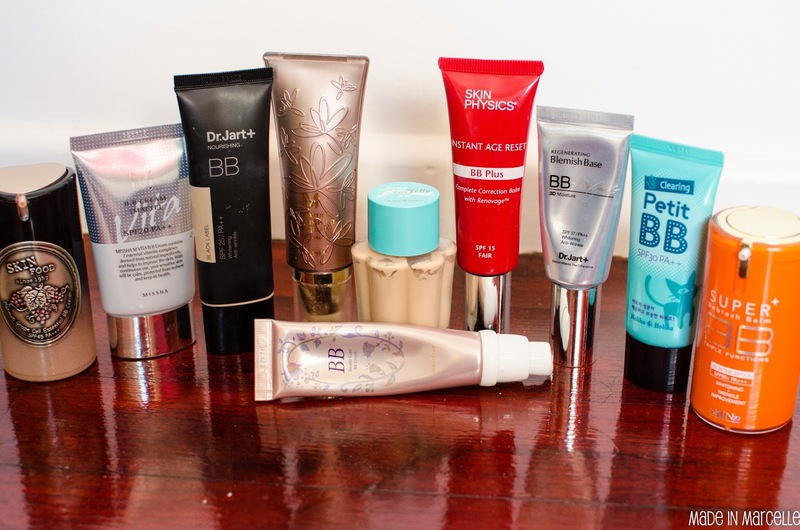 From memory these smaller BB cream tubes were really cheap and there was a variety available for different skin concerns. Dr Jart products are available in Korean department stores so they cost quite a bit more than the other ones I have mentioned. I have yet to really try out the Black Label one that I received from Court, she did not like it though. But I love the Regenerating BB. Odd thing with that though, it worked amazing for my skin in Korea but since coming back the finish look and feels different. I feel like this climate change has made it no longer suitable for me. Innisfree make great skincare and hence this Trouble Care was a bit of a spontaneous buy. It is another one acne with surprisingly high coverage also. But I find I get really shiny wearing this throughout the day. Not so attractive. 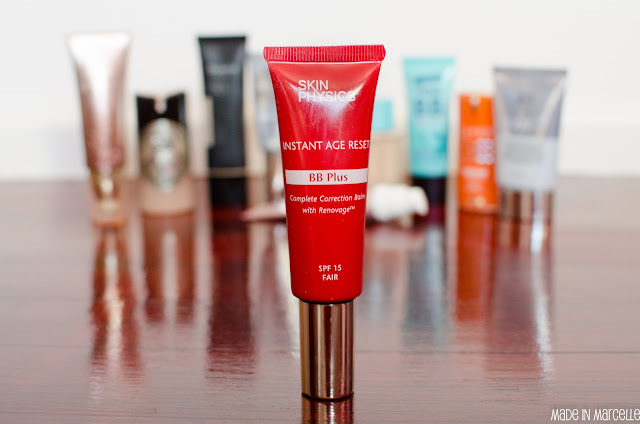 I have about half a tube left of this so it may be one of the first to go. Phew finally done. As you can see I like BBs a lot and I definitely have way more products than I need. I will definitely keep you updated on what I actually end up finishing. Wow great post! 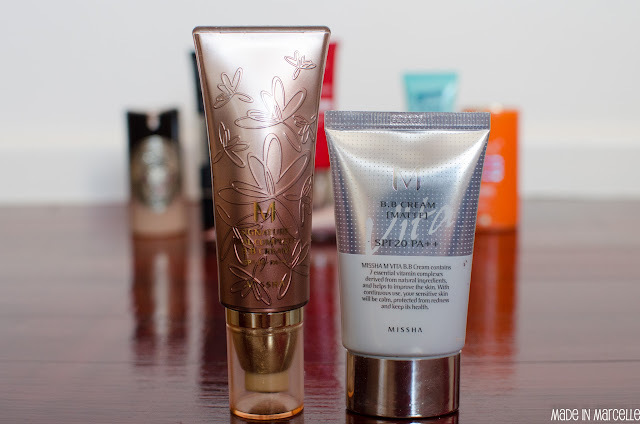 I love reading about Asian BB's :) the Missha one sounds really good but I think I am too dark for these anyway. Missha is a great brand to start with because they're probably one of the only brands that provide a large range of shades. My sister who is really tanned uses #27 honey beige. They have an even darker one #31 golden beige. These colours match non-pale skin pretty well. Plus they tend to blend and oxidise on the skin pretty well to match. Unfortunately all those other Korean brands won't work well with "average" Aussie skin tones. Thanks for the review!!! 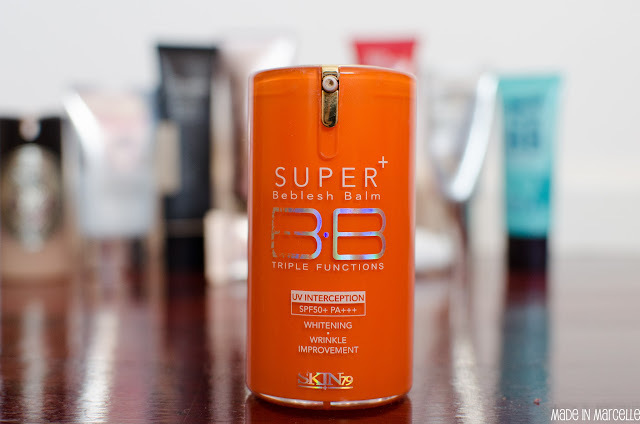 I am becoming a little bit obsessed about BB creams, I've got the super BB in a silver container, it's a little bit too thick for me but does a fantastic job with evening out skin tones. 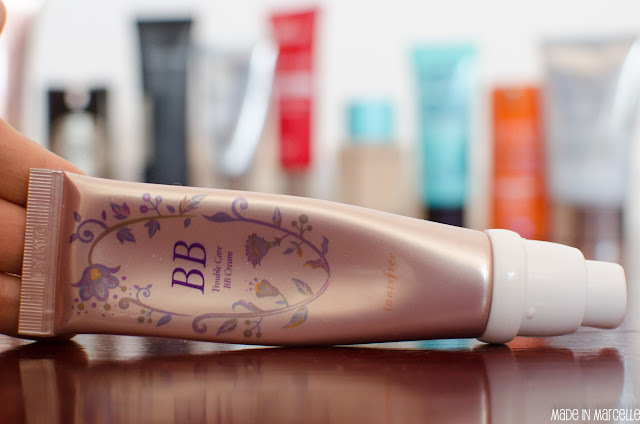 My favourite at the moment is the Maybelline BB cream ! Oh what silver one? Don't think I've seen that one. I have tried the new Maybelline one aimed for acne and that did not look good on me. I'd like to think I am growing out of this phase, it's probably the fact that there are so many now that I don't know what to try next.